Fill in your details below and we will let you know within 24 hours if we can get Ponzi Scheme to you with haste! 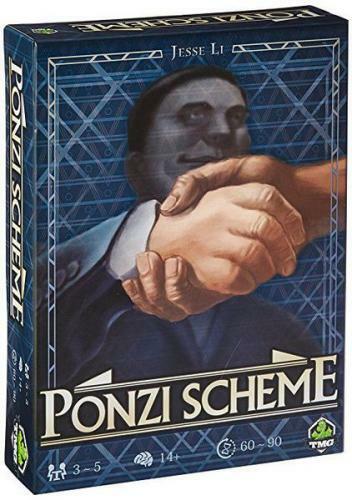 In the game Ponzi Scheme, players are scammers trying to trick investors into funding fraudulent investments with the promise of extremely high returns. You need elaborate trading skills to keep your operation afloat as long as possible, and as time goes on the dividends you need to pay every turn will only pile higher and higher! But when someone declares bankruptcy, the remaining fraudster who forged the biggest shell corporation wins the game!